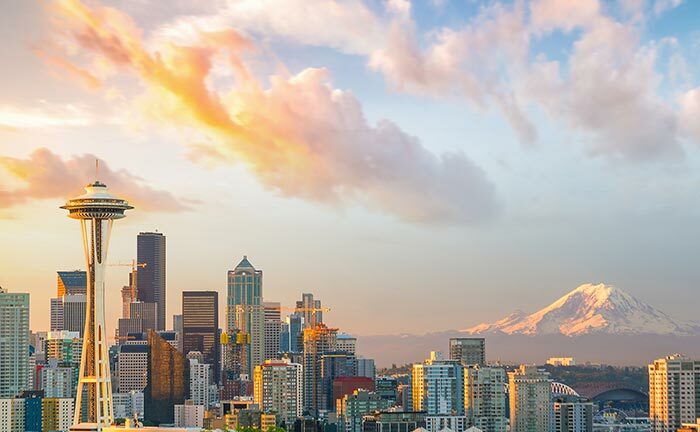 Seattle, Washington has long been on the cutting edge of new technologies to enhance convenience, efficiency, and sustainability. The town is a major hub of clean energy ventures, along with aerospace manufacturing and other advanced fields that are changing the nature of modern life and business. AirFreight.com offers Seattle’s companies and schools the seamless shipping they need to obtain all their supplies, and delivers their finished products to eager customers across the continent. If you’re a business leader in Seattle, you’ve likely faced a number of sleepless nights wondering whether your supplies will arrive on time. Because local companies are so advanced, they rely on a myriad of delicate or perishable parts that cannot be even slightly damaged on the road. As a result, ground carriers must be very careful while shipping these parts, but that makes it harder for them to deliver quickly enough to meet their clients’ tight deadlines. This problem is compounded by the fact that shippers need to share the road with the nearly 3 million people living in the Seattle metropolitan area. This means that even when items arrive intact, they are often far behind schedule. AirFreight.com uses air cargo services to bring Seattle’s companies their supplies, as well as to send our their finished goods. We offer a combination of traditional air freight delivery solutions, which involve reserving you space on a scheduled flight, and air cargo charter services. For an air charter, we organize a new flight that will be devoted to your goods, taking off and landing on your schedule. This ensures that you can always get the goods you need on or before your deadline. Shoring Up Safety - Our critical freight experts have years of experience handling every variety of perishable or delicate shipping item. They know what storage methods are necessary to stop such items from breaking during the flight, as well as which airlines have the best track records for secure storage. Regardless of the specific item or items you’re shipping, you can trust us to take good care of your order. Metropolitan Mastery - AirFreight.com can get your goods to any major cargo airport in the Seattle metropolitan area. This includes delivering into Seattle proper, Bellevue, Puyallup, Kent, Tacoma, Everett, and Redmond. When your flight lands, we will have a team at the ready to deliver it the rest of the way. Committed Support for Customers - The AirFreight.com customer support team is available 24 hours a day, 365 days a year to take your call. They will answer any question you have about a current or future order. If we are currently shipping something for you, you can get a precise update on those goods’ location, thanks to data from our sophisticated tracking devices. If you’re considering a future order, we’ll give you a free quote on the cost. To learn more about shipping into or out of Seattle with AirFreight.com, visit our website or call (206) 673-2900.